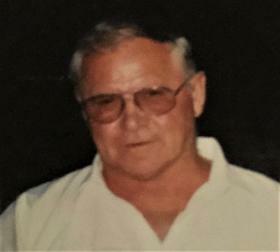 Franklin Kamphuis, age 82 of Holland, passed away Wednesday, December 26, 2018. Franklin was born in Holland, worked construction, and was an independent truck driver. He was preceded in death by his wife, Patty in 1996, brother Bernie, and sister Elizabeth. Surviving are his children, Debbie and Joe Van Kampen, Kim and Jim McDonough, Julie and Jeff DeVries, Doug and Stacy Kamphuis; 9 grandchildren, Laura and Jeremy Payne, Kane Van Kampen, Mike and Sandy Streur, Jeff and Jodi Streur, Jennie DeVries, Jill DeVries, Benjamin and Kaylie Kamphuis, Jordan Kamphuis, and Raechel Kamphuis; 10 great grandchildren; 7 stepchildren; several step grandchildren and step great grandchildren; brothers, Bud and Beth Kamphuis and Jerry and Dottie Kamphuis; sister-in-law, Betty Kamphuis; in-laws, nephews, nieces, and cousins . Memorial services will be 1 pm Saturday (December 29), at the Third Reformed Church, 111 West 13th Street, with Rev. Kama Jongerius officiating. Inurnment will be in Restlawn Memorial Gardens. Visitation will be 11 am-12:45 pm at the church, prior to the service. Memorial contributions may be made to Harbor Humane Society or Hospice of Holland.